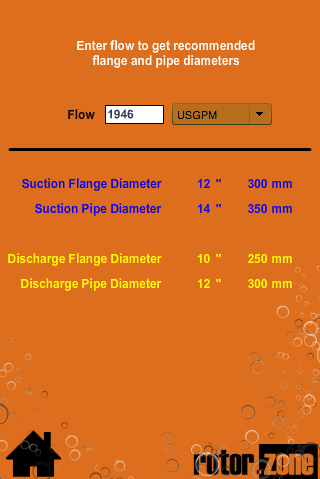 Size pumps, estimate flow and calculate pump efficiency. Includes utilities to convert pressure to pump head and calculate the optimum pipe size (suction and discharge) for a given flow. 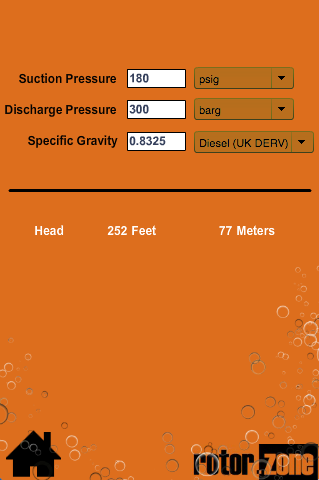 App covers most major pump types (centrifugal, reciprocating, screw and diaphragm. 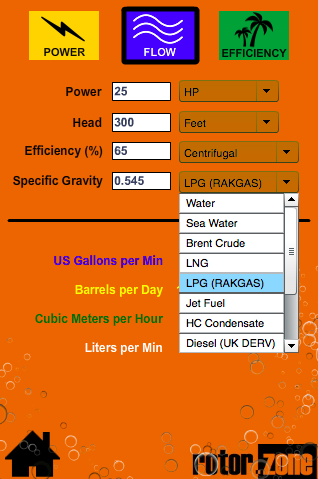 App includes presets for most common fluids (water, oil, diesel, lube oil, hydrocarbon condensate etc). Size pumps, estimate flow and calculate pump efficiency. Flip seamlessly between metric and US units. 1 - Curves are based on a typical medium sized single stage centrifugal pump designed to API610. 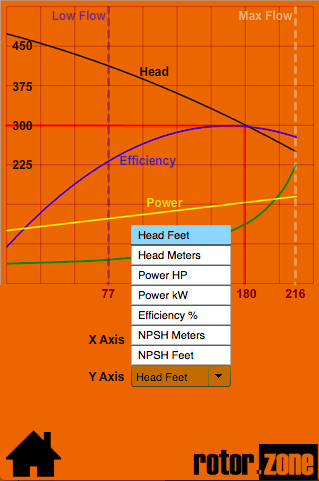 Actual head flow curves will vary, somewhat, depending on manufacturer. 2 - Low flow refers to the suggested minimum flow for long term operations (i.e not start up) and are primary driven by energy efficiency. The values given in the app are likely to be relatively conservative compared to actual manufacturers data.